A decision to switch off Warwickshire’s street lights between midnight and 5.30am has been condemned by a councillor who said it increased the fear of crime for women. A county council review of the scheme highlighted savings made since the decision was taken five years ago with further cash being saved with the introduction of LED street lighting the following year. But Cllr Caroline Phillips (Lab Stockingford) said the report’s findings were flawed. She explained: “If you look at the conclusions, it assumes that everything is wonderful and that everybody is male, everybody has a car and nobody works shifts. Well I’m sorry but that’s just not the case. 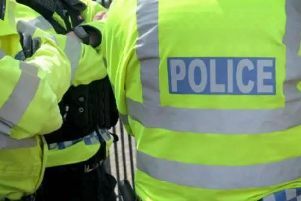 The review pointed out that crime levels had not increased since the lights were switched off at night and it was also explained that the system could be switched on if the police or another of the emergency services needed to deal with an incident. This happened 134 times over the last financial year. Cllr Andy Crump (Con Southam, Stockton and Napton), portfolio holder for fire and rescue and community safety said he would raise Cllr Phillips’ concerns. And Cllr Judy Falp (Ind Whitnash) said while it was positive that there was no link between crime and the switch-off, that news needed to be broadcast.